For Henry's seventh birthday, Grandma and Jim bought him a real set of golf clubs. When we went to visit them in Arizona a few months ago, the boys enjoyed playing on the putting green in the backyard. 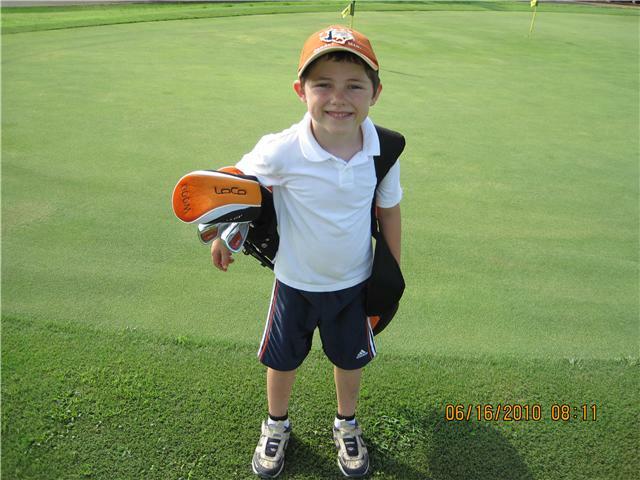 Henry spent WAY more time golfing than he did swimming in the pool! 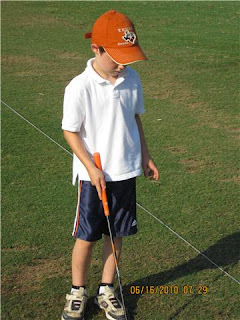 It was decided then that we should do something to nurture his interest in this area, and Jim was really excited to pick out a set of clubs for Henry. 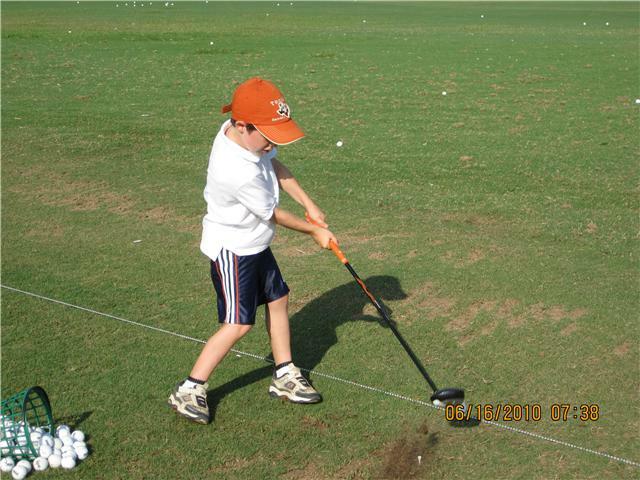 Last week Sam took Henry to the driving range to practice putting and hitting a bucket of balls. Sam taught him how to properly hold the clubs and a little bit about course etiquette (you know, like not letting your club slip out of your hand mid-swing and fly toward your neighboring golfer--not that that actually happened, or anything).